Defending champion Roger Federer raced through his opening match at the Gerry Weber Open in Halle, taking only 71 minutes to beat Slovenia's Aljaz Bedene 6-3, 6-4. The top seed and No. 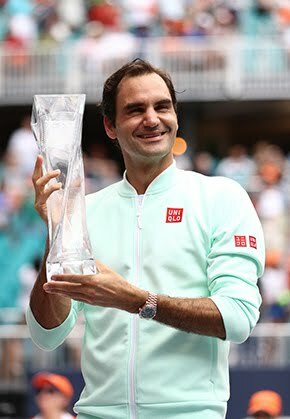 1 player in the ATP Rankings stretched his grass-court win streak to 17, dating back to last year's titles in Halle and Wimbledon and including his 98th title run last week at the Mercedes Cup in Stuttgart. Federer fought through an eight-minute game to break Bedene and immediately grab control for a 2-0 lead. He served flawlessly, winning 84 per cent (41/49) of his service points for the match, including a hold to love for the opening set. The Swiss right-hander then broke in the ninth game of the second set before another routine service hold clinched his place in the second round. "I got out of the box well, I felt good right away," Federer said. "This is an easier court to play than last week in Stuttgart. "The ball bounces up higher into my strike zone. I was connecting well on returns and I could read his serve. I played a solid first set once I figured out how to break him. In the second I was able to hold all of my serves. "For a first round and without much play in this court, It was fine, I'm very happy." The 36-year-old is going for his 10th Halle title (2003-06, 2008, 2013-15, 2017). Half of Federer's 18 grass-court crowns have come in the German city. 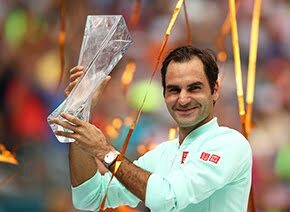 He needs to repeat as Halle champion to stay No. 1, or else Rafael Nadal will reclaim the top spot in the ATP Rankings. 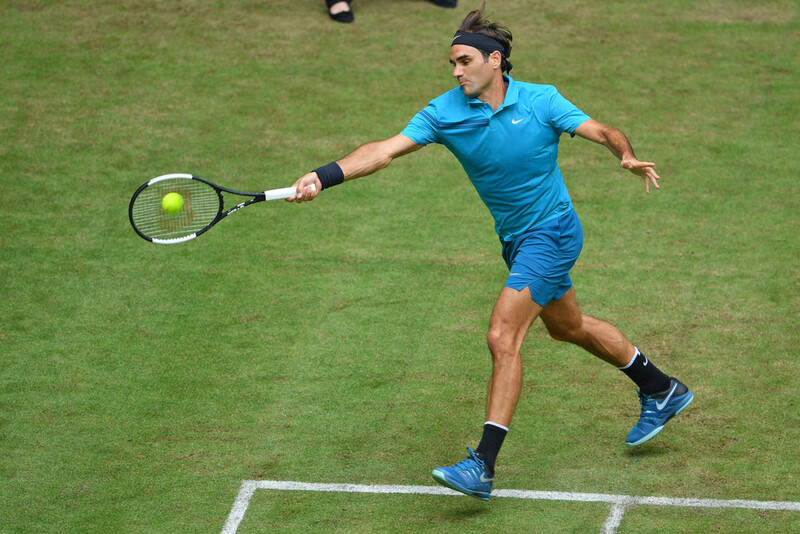 Federer improved to 60-6 in Halle. The Swiss great is just five match wins away from matching Jimmy Connors' all-time record of 174 victories on grass. Federer's winning percentage is better, with 169 wins and 24 loses compared to Connors' record of 174-34. Federer will next try to improve to 6-0 in his ATP Head to Head series with Frenchman Benoit Paire, who beat Steve Johnson of the U.S. 7-5, 7-6 (5).